In 1954 Hudson Motor Car Co. and Nash-Kelvinator Corp. merged to form the American Motors Corporation and within a few years was headed by CEO George Romney (failed presidential candidate Mitt Romney's dad!). 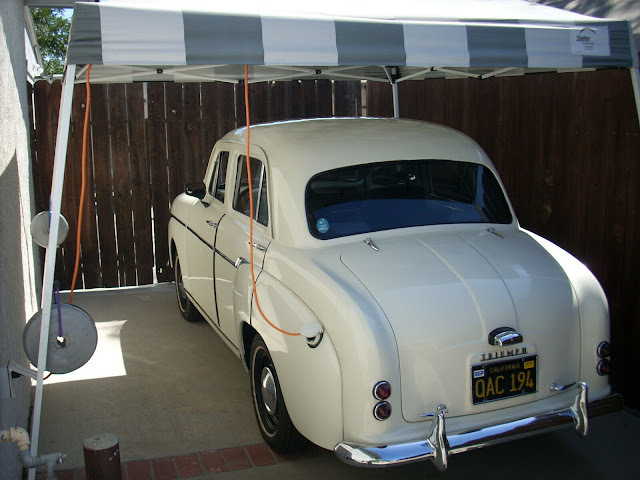 Under Romney, major changes were enacted to the AMC brands, including abandoning the Nash and Hudson names and introducing a slew of new models to compete with offerings from the big three. Work on the stretched/upmarket version of the Nash Rambler was not abandoned entirely, but it was renamed the Ambassador V8 by Rambler, confusing a generation by swapping brand/model names willy-nilly. 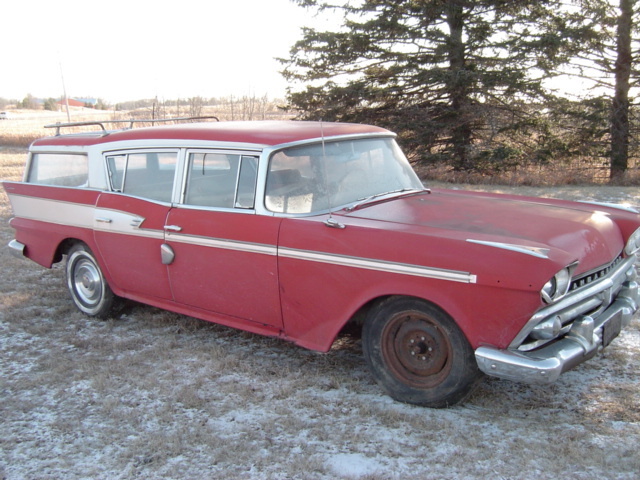 This 1959 Ambassador V8 by Rambler Cross Country Wagon is for sale in Ottertail, MN, currently bidding on ebay for $1,726 with 1 day to go. Ed update 2/5: Big thanks to tip from DT reader Oldsmobuick, and sorry for not originally including the thanks! 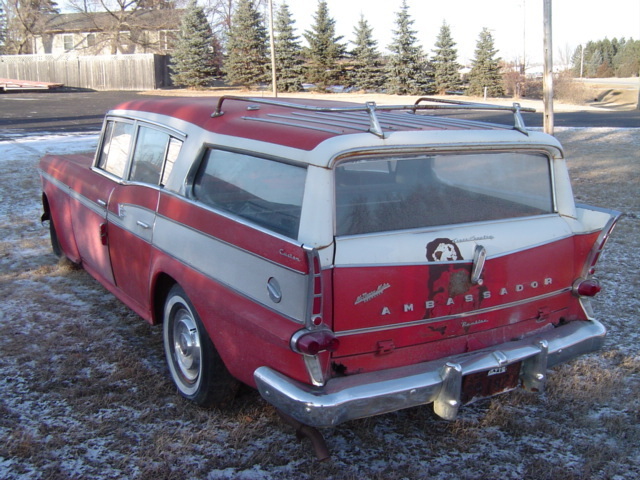 The Ambassador V8 by Rambler official name contributes to the confusion from the seller, who lists it as a "Other Makes: Ambassador V8 Cross Country Wagon" on ebay. The Ambassador also had a sweet pillar-less hardtop wagon version available - but this one unfortunately has the pillar. Its not entirely clear to us what makes this one a "Cross Country" vs the standard, deluxe, etc. All Ambassador V8 by Ramblers were powered by a 327 cubic inch (5.4 liter) V8, so we aren't sure what inline 6 the seller is making a reference to. 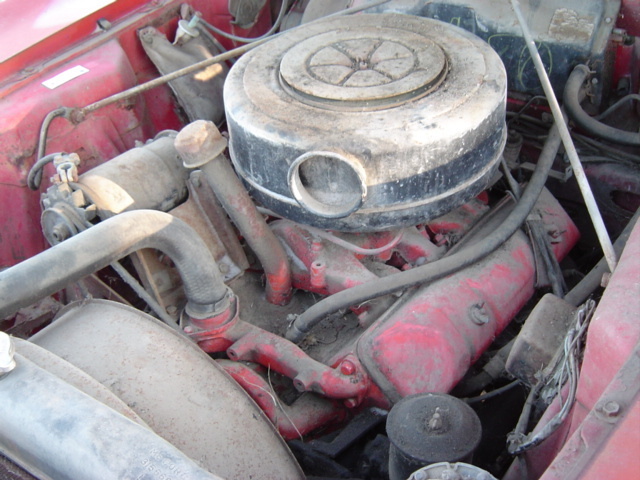 The pushrod V8 was an all AMC design and produced 270 gross horsepower and was equipped with a novel (for its time) hydraulic fan clutch. The inside of this Ambassador is well used/abused and will need serious reconditioning to get back into drivable shape. We spy the push-button shifting controls for the three speed Borg Warner Flight-O-Matic automatic transmission, a vintage feature that will seem cool until it ceases to function properly. If you are going to get a wagon with tailfins, they don't get much cooler than the Ambassador, and this year has sweet rocket-inspired brake lamps. There is also a particularly interesting rust pattern on the rear tailgate, looks sort of like a person's face...but who? Give your suggestions in the comments below. 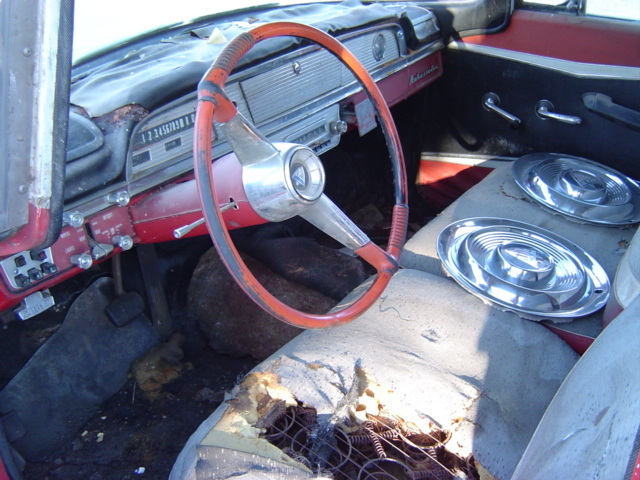 Well, if this car is from MN... you can expect lots more rust than just the 'Ambassador from Hell'... see - below the tailgate to the left and right?... just a small sample.